America’s favorite dysfunctional brothers and every walker’s worst nightmare, the Dixon brothers, are reunited in Terminal Reality and Activision’s The Walking Dead: Survival Instinct. If you’ve ever wondered what happened to them before Atlanta, the game will give you a glimpse at their very complicated relationship. Without offering any spoilers, below is some of the backstory and gameplay players will experience in The Walking Dead: Survival Instinct. Early on it’s going to be up to Daryl to kickstart the Dixon brothers’ journey across the Georgia countryside. And through the game’s design, players will be in the driver’s seat for how they get there and the path they take. Daryl (player) and Merle (AI) will need to work together to get through various stops along the way, each offering its own unique set of obstacles, whether it’s a herd of walkers or the dark of night, there is always danger lurking around the next corner. Daryl is lucky enough to have Merle helping him through their various adventures, often times he’ll be communicating via radio when he’s not within sight, offering tips and objectives. It’s definitely in Daryl’s best interest to listen to Merle in order to survive. But it goes both ways, as Daryl will find himself navigating a walker ridden hospital in search of medical supplies for an injured Merle at one point. While Daryl is usually doing the heavy lifting in The Walking Dead: Survival Instinct, Merle is consistently overbearing and gives Daryl the tough-love that you’d expect. Passing through one town, Merle frantically insists on ditching a perfectly good vehicle for another. Daryl suggests a more tempered solution, but Merle will have none of it: like trying to reason with a cyclone. While the brothers Dixon share several similarities, each approaches group interactions differently. Daryl is selfless. While he is skilled enough to live on his own, Daryl chooses to stay with a group and help other survivors and makes decisions based on the general well-being of the entire group. If the group should need gas, Daryl will opt for taking the shorter route, thus saving their gas intake. Merle on the other hand is an opportunist and only looks out for himself. It’s Merle’s way or the walker-infested highway. In The Walking Dead: Survival Instinct, the origin of Daryl’s trusted crossbow is revealed! If you think Daryl is handy with it on the show, wait until you use it on an unsuspecting walker. It’s perfect for stealth encounters, as it can be fired from afar and won’t alert surrounding walkers to your presence. Know what’s even better? Crossbow bolts can be snatched from downed walkers. 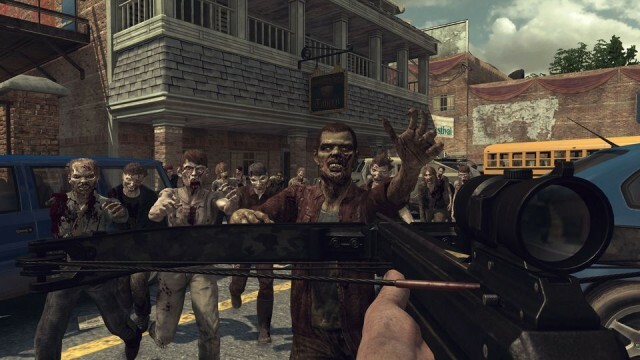 The Walking Dead: Survival Instinct is released Friday 22nd March for Xbox 360 and PS3. Look out for EF’s review later this month and check out our The Walking Dead: Survival Instinct competition to win a copy of the game.